Fill in your details below and we will let you know within 24 hours if we can get Lone Wolf Adventure Game to you with haste! In The Lone Wolf Adventure Game you are Kai Lords - brave and noble warrior-monks sworn to protect the realm of Sommerlund from the evil of the Darklords - adventuring across the world of Magnamund. You and your friends will face terrifying enemies and uncover fiendish plots, working together to overcome the wicked plans of the Darklords and emerge victorious! 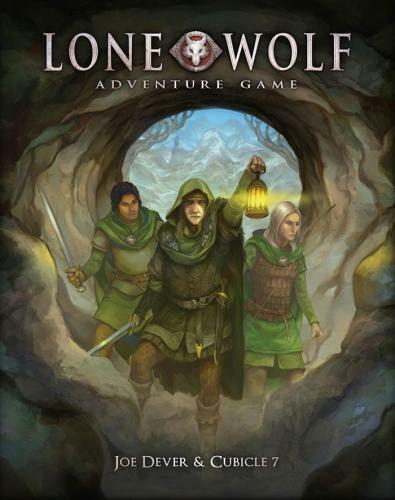 The Lone Wolf Adventure Game boxed set is the perfect introduction to fantasy roleplaying games, including everything you need to get playing right away - in fact you can be setting off on your first adventure within minutes of opening the box! The game is easy to learn too, the first adventure teaching you how to play.